Bandit Elite is coming in hot. Following an extremely-convincing leak from R6SNews, Rainbow Six Siege fans have learned that the Axle 13 Elite skin for Bandit is coming to the game. Although Ubisoft hasn’t directly announced the release of Bandit’s Elite skin, we know what we’ll get when we throw down our R6 Credits. The Elite skin will roll out with all the usual bells and whistles, such as exclusive weapon, gadget, and operator skins, as well as the coveted MVP animation and operator chibi. Ubisoft is embracing the world it created by giving Bandit a skin that calls back to his days as an undercover operative in a deadly biker gang. With his usual full-coverage gear removed, we see a bald and bearded Bandit who’s covered in tattoos. But the tattoos are nothing when compared to his cheeky biker cutlet that has Bandit’s trademark jumper cables embroidered on the back. The weapon and gadget skins have a flame theme that compliment Bandit’s MVP animation. The MVP animation shows him revving the engine on his flame-dipped motorcycle. Again, even though this is a convincing leak, there’s always room for changes before launch. Given Siege’s history of leaked information, and how the leaks don’t always indicate the order of release, it’s difficult to pinpoint when content will actually go live. 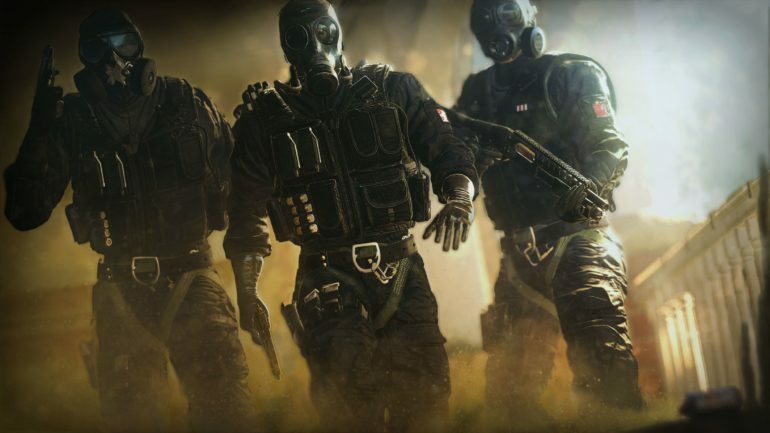 If we had to take an educated guess, Bandit’s Elite skin could drop as soon as the beginning of next season.